The conclusion of the Playtime machinima series is almost here. The Playtime series finale “Moment of Truth” premiers June 10th 2013. For over 2 years, the Playtime machinima series has been the focus of my creative efforts. 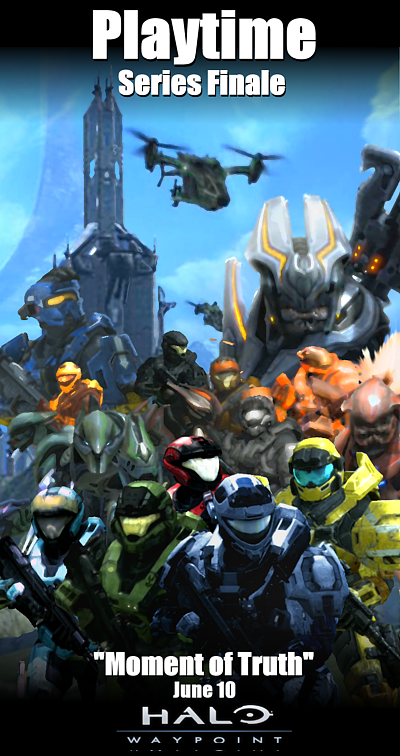 Despite its humble beginnings, Playtime was instantly welcomed by the Halo community, and began to build a dedicated fan base. As the show continued, this fan base has grown in both size and dedication beyond my wildest dreams. Their enthusiasm and support has kept me going far longer than I ever imagined. On Monday June 10th, Playtime Season 4 comes to a close with “Moment of Truth”. This episode not only marks the end of the season, but of the entire series. I’d like to thank everyone who’s been a part of Playtime along the way. You’ve helped make the show something that I feel is truly special. I’d also like to thank everyone at Bungie and 343 Industries for making this show possible in the first place. Thank you to my friends at Halo Waypoint for giving Playtime a home and helping it reach a wider audience. And once again, thank you to every single fan who has watched and supported the show for so long. I put a lot of work in to the series finale. I hope it gives the show the sendoff that you all deserve. Of course, the entire series will stay available at PlaytimeShow.com. And don’t forget, we still have 2 more episodes left to go, so stay tuned! 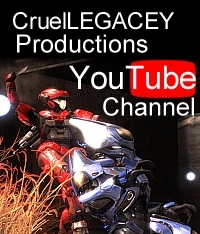 Video | This entry was posted in Halo 4, halo reach, Playtime, Playtime News, Video and tagged machinima, playtime, trailer. Bookmark the permalink.